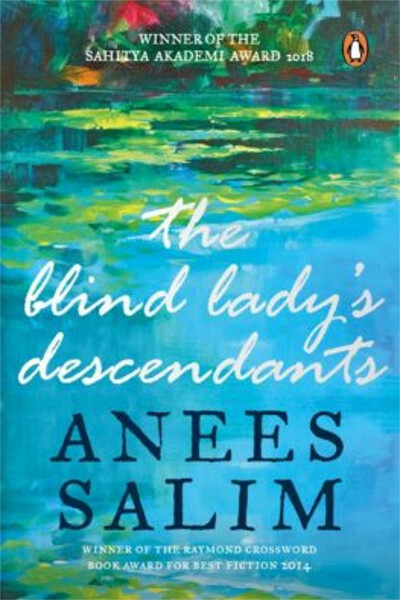 The Blind Lady’s Descendants is an utterly compelling and haunting family saga, brimming with intense heartache and wry humour, confirming Anees Salim’s reputation as one of our most outstanding storytellers. Born to silently warring parents, Amar Hamsa grows up in a crumbling house called the Bungalow, anticipating tragedies and ignominies. True to his dark premonitions, bad luck soon starts cascading into his life. At twenty-six, he decides to narrate his story to an imaginary audience, and skeletons tumble out of every cupboard in the Bungalow. The Blind Lady’s Descendants is an utterly compelling and haunting family saga, brimming with intense heartache and wry humour, confirming Anees Salim’s reputation as one of our most outstanding storytellers. Anees Salim is an advertising professional by day and an author by night, and an introvert day and night. His first book The Vicks Mango Tree was long-listed for a couple of awards, and his second book Vanity Bagh won The Hindu Prize for Best Fiction 2013. He lives in Kochi with his wife and son.